Wandering Wynwood on fall Sunday, feeling the energy of locals, traveller, art lovers, food lovers, music lovers. This district is a continual gallery, from one block to the next. Both inside and out of the buildings. After miles of exploring, it was time for a snack. The promise of Pisco Sours pulled my attention. The discrete entrance off a side street through what must have been the driveway turned patio got me curious. And the decadent aromas of all things spicy and savory had my mouth watering. 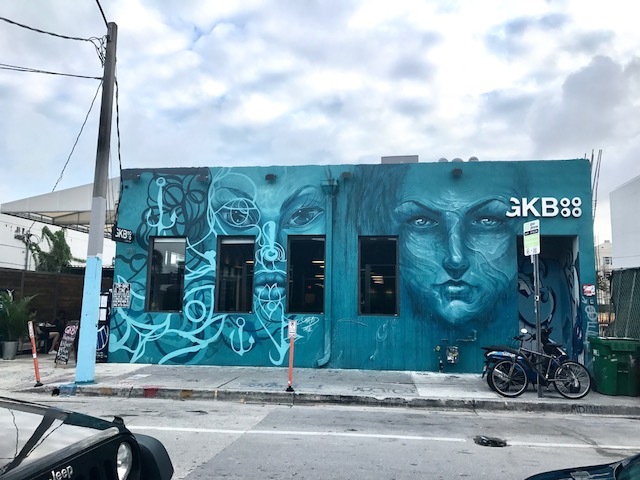 GKB was not on any of the "top" lists I had glanced over before coming to this neighborhood. It should be though. Being unsure of what a Peruvian menu had to offer, I was up for suggestions. As long as Pisco was involved! An it was perfect. Bright lemon, weightless creamy mouthfeel, and just a hint of sweet on the finish. A perfect compliment to my dish. The Asian Tradio was the afternoon snack of choice. The spice of red pepper, umami of ponzu sauce, perfect acid "cooked" black grouper texture, spice of the fresh red pepper.....an absolute delight. Will be back for more!